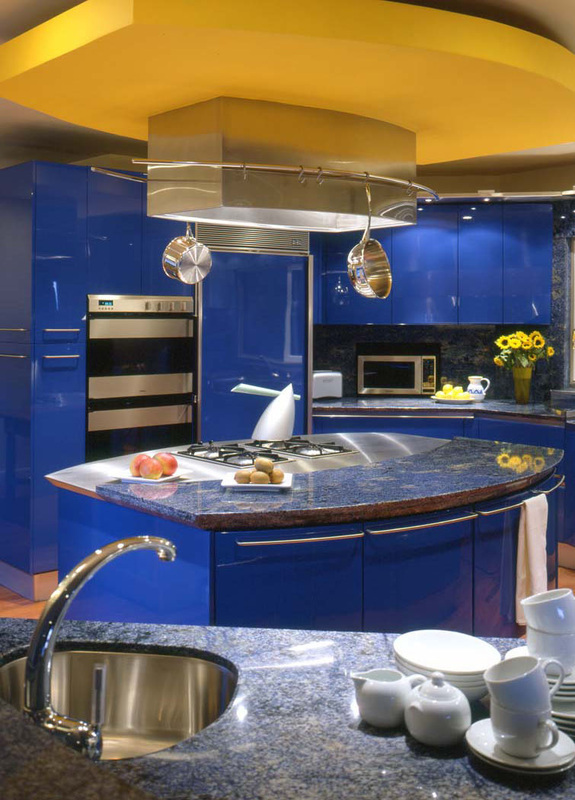 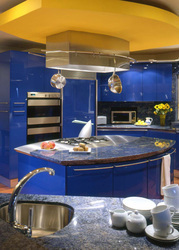 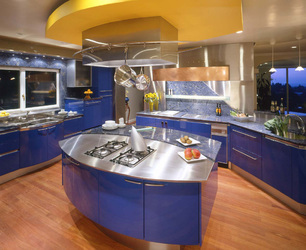 A super-exotic kitchen project in Hillsborough utilizes high-gloss blue lacquer for the cabinet fronts and real lapus lazuli countertops. 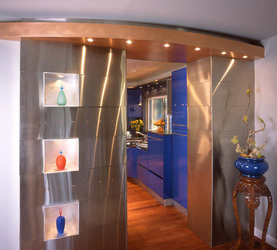 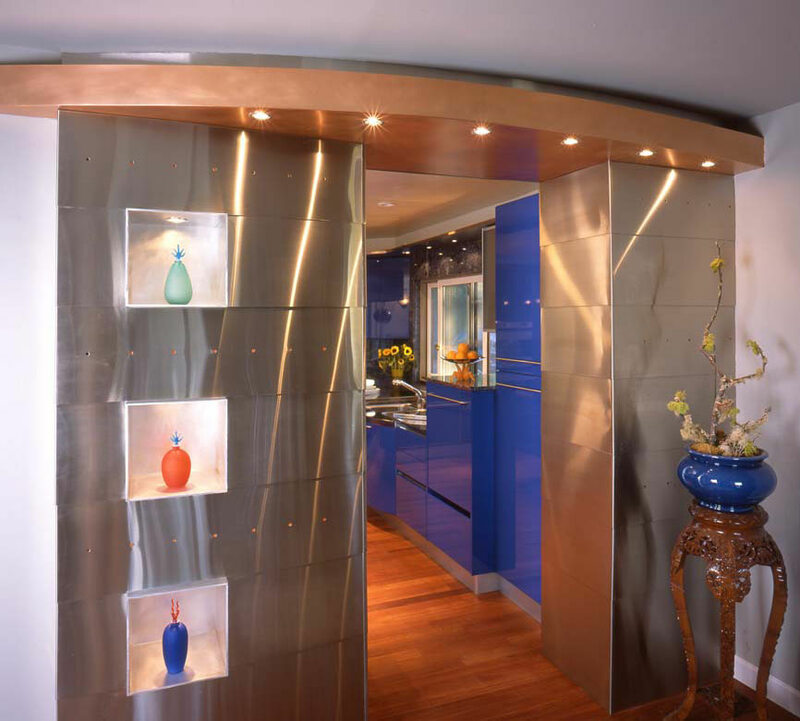 Although a bit out-there for some, this kitchen was the clients' dream in which to cook their gourmet, Asian-influenced meals from scratch in this truly ergonomic space. 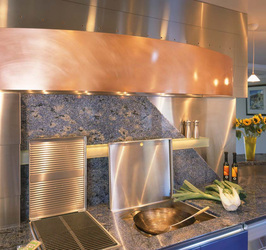 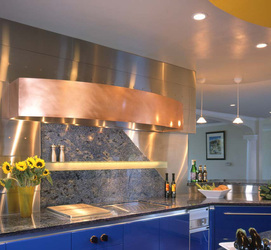 Two high-heat cooking zones (including one with a commercial quality wok and deep fat fryer) deserved two completely different hoods, both custom designed by Steve Livingston.